I just got back from the Sanctuary Cove Boat Show in Australia. 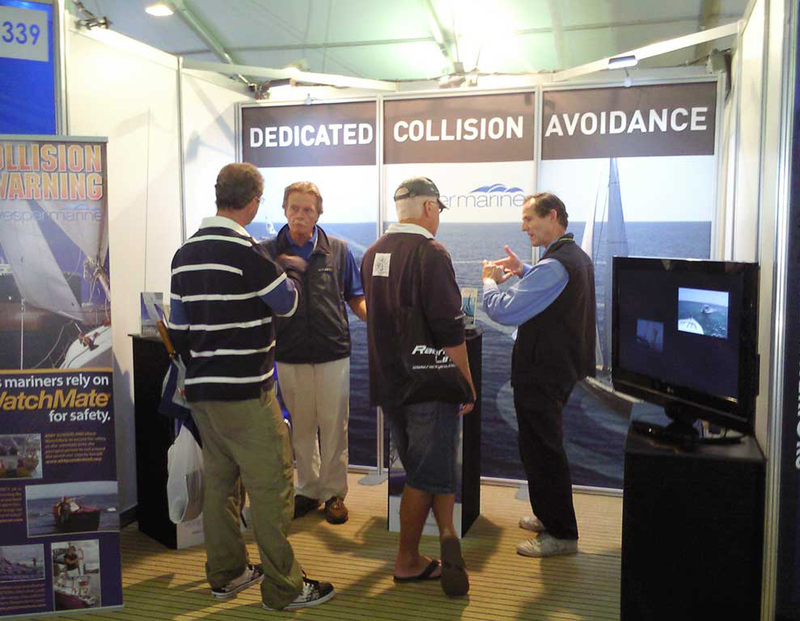 We demonstrated the WatchMate and WatchMate-RX in the Vesper Marine booth and attracted a lot of attention. A number of existing WatchMate owners also came by to visit and thank us for the product or our service. That always feels nice. That's Tony from Aquatronics on the right in the photo above. He is demonstrating a WatchMate-RX. Tony also made a short video of me introducing some of the basic features.